This is Alexander Caulfield Anderson, grandson of James Anderson LLD, and Margaret Seton of Mounie. 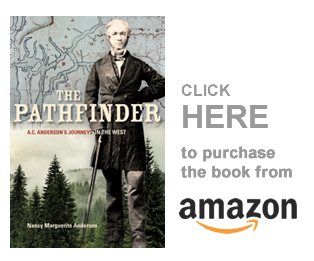 As long as I am telling you about Alexander Caulfield Anderson’s famous (and infamous) cousins, I might as well mention his aunts and uncles — the first generation that resulted from the marriage of James Anderson LLD, and Margaret Seton. But let me tell you a little about James Anderson LLD, first, so that you can see the effect his behaviour had on the lives of his children and his grandchildren. James Anderson began his life as the child of tenant farmers. He was born near Edinburgh in 1739, and took over his family’s two farms at his parents’ early death. This was a time when Scottish farmers studied agricultural science at local universities, and James attended Professor Cullen’s lectures on Chemistry. Eventually, Anderson left his parents’ farms and took over the uncultivated lands of Monkshill Farm in Aberdeenshire, quickly making it a profitable concern. In 1768 the young farmer met the heiress of the Aberdeenshire family Seton of Mounie, who lived nearby. Margaret Seton was the daughter of George Seton of Mounie, and grand-daughter of intellectual lawyer Sir Alexander Seton, Lord Pitmedden; she was descended from generations of noble Seton men who had fought and died beside their Scottish kings. She could have chosen any nobleman in the country to be her husband, but she chose tenant-farmer James Anderson. To marry into the Seton family, Anderson had to take on the Seton name, something he did briefly and very unwillingly. Margaret gave birth to the couple’s first children at Monkshill, a place where Anderson wrote so many knowledgeable articles on farming and agriculture that the University of Aberdeen granted him the degree of Doctor of Law. He was a brilliant agriculturalist, but an indifferent husband and father. Margaret inherited the estates of Mounie and the family took residence in the turreted house for a shsort while. But in 1783, James moved his family to a rundown farmhouse in Leith, Edinburgh’s port city, to be closer to his intellectual friends. Margaret faded and died within five years, and her children grew up in their father’s indifferent care. They knew themselves to be gentlemen and gentlewomen descended from the fine Seton family, but all were somehow cursed by their poverty-stricken upbringing and their father’s emotional detachment. The eldest son, Alexander, inherited Mounie and changed his Anderson name to Seton by deed poll, as he was required to do. He was an honorable and hardworking man who supported all the younger members of his family until his personal fortune was almost depleted. James and Margaret’s fifth son, James Anderson of Bridgend, Brechin, was a grain-merchant who owned a good-sized house and sometimes consulted a craniologist — not unusual in those times. He was a close friend of Frances Simpson’s father: she was the wife of HBC Governor George Simpson. After his eldest brother, he was the most successful businessman in the family and retired well off. Despite his apparent success, James, too, sometimes borrowed money from his brother and did not return it. An Anderson daughter, Margaret, married civil engineer Benjamin Outram, who gave her five children but died suddenly without leaving her any money with which to raise them. Margaret, an eccentric in her own right, accepted the legal help that Alexander Seton gave her. Although she received an allowance that supported her family for years and put her children through school, Margaret complained to her sons that Seton had entirely neglected her. Her attitude toward the Anderson family certainly affected her oldest son, James (General Sir James Outram), who openly abused his Anderson uncle. Henry Anderson joined the army of the East India Company and, as a Captain, led his men through a series of grueling military campaigns, including the disastrous Monson’s Retreat of 1804. In this battle, the East India Company’s army attacked a Maratha leader they considered a robber chief, and were forced into a two-month retreat to the safety of Agra, all the while fighting off their well-armed enemy. Only a few hundred of Monson’s original force of 10,000 soldiers survived the long march, and it is probable that the appalling conditions of the running battle caused Henry’s early death. The man who became Alexander Caulfield Anderson’s father was Robert, born in 1781 at his father’s farm at Monkshill. In 1799, Robert sailed for India to join the East India Company’s Army, but jumped ship in Calcutta. A year later, Robert was acting-midshipman on a Calcutta-based trading vessel that sailed between India, China, and Australia. The ship was captained by his elder brother, William. The sea had not suited young Robert, and when his brother’s ship arrived in Australia in 1800, Captain Anderson paid for Robert’s commission as ensign in the New South Wales Corps of the British Army. Robert served at Port Jackson on Norfolk Island, at that time a place of confinement for the worst criminals the British government exported to Australia. In 1804, Robert was reassigned to Port Dalrymple, in northern van Diemen’s Land (Tasmania), where his commander sent him on a short expedition of exploration up the Anderson River — a creek that still bears his name. A short time later, Anderson defended the impertinent behavior of a female convict he called his woman, and in doing so, contradicted his superior officer who sent him to Port Jackson in disgrace. Ensign Anderson promptly sold his commission and, abandoning the convict woman, sailed for India. (There are two Ensign Robert Andersons in Tasmania at this time). By 1809, Robert Anderson had married Eliza Charlotte Simpson, daughter of William Simpson, a high-ranking East India Company official in Madras and Calcutta. By 1810 Robert owned part of an indigo plantation near Ruttanpoor, north of Calcutta. 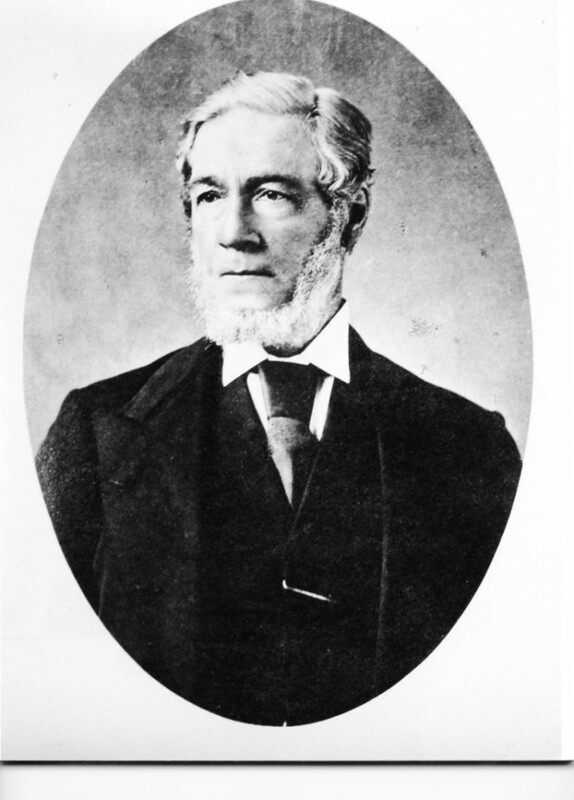 He and his business partner, Alexander Gordon Caulfield, had already produced a great deal of indigo. The demand for Bengal indigo varied, but after 1810, most indigo dye imported into England came from India rather than the West Indies. Anderson and Caulfield made their fortunes and, in 1817, Robert Anderson brought his wife and three sons home to London. Alexander Caulfield Anderson, then three years old, had been born on March 10, 1814, on his father’s indigo plantation. Some sources for the above material: Mary Frances Outram, Margaret Outram, 1778-1863, Mother of the Bayard of India (London, John Murray); “Sketch of the Life of Dr. James Anderson,” Gentlemen’s Magazine, December 1808, p. 1051-2; with special thanks to our English cousin, Virginia van der Lande, who has researched our Anderson-Seton family for many years and shared her information with us.